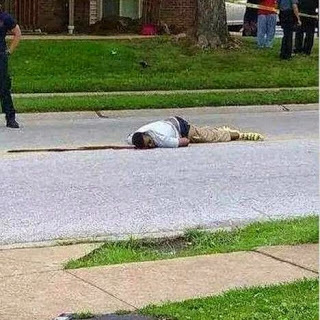 On August 9 the nation will remember the one year anniversary of the shooting death of Michael Brown by Officer Darrin Wilson in Ferguson, Missouri. When the event occurred I was vacationing with my wife in Maine, and the shooting did not make the evening news. Yet within a day, the nation and the world began to learn of a stirring taking place in Ferguson in a way that shook Black people to their painful soulful core, and led to an eruption that has continued to smolder. There were peaceful marches, overshadowed (in the media) by angry looting, and police dressed in combat gear reinforced by the National Guard. From the politicians and police there was a call for order and but from the communities of color around the country there was a call for justice. 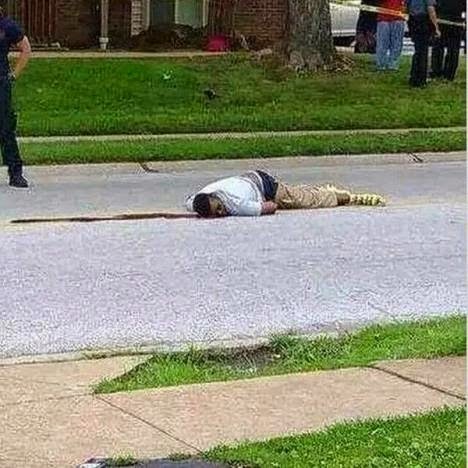 Officer Wilson was not charged, but that cry was not silenced and the call for justice continued to grow. Pretty soon, we were hearing other names like Tamir Rice (Cleveland), Eric Garner (NYC), Brandon Tate Brown (Philadelphia) and Freddie Gray (Baltimore). And there was Charleston and the Black churches burned in its aftermath. Just this past month Sandra Bland (Texas) and Samuel Debose (Cincinnati) were added to that list. There were a few retaliatory reactions such as the murder of NYC police officers Wenjian Liu and Rafael Ramos, and tensions between members of the Black communities and police departments in communities across the nation grew tense to the brink of breaking. And the movement that has come to be called “Black Lives Matter” emerged and continues to grow. I wrote recently of my sense that we are in a Kairos moment, a coming together of folks and forces that portend a shift in the tectonic plates of history. When these kinds of seismic shifts take place, it is unpredictable, frightening and chaotic. As I look back over the year since Michael Brown’s tragic death, I don’t recall a year of such social dynamism, since I was young person watching the Civil Rights and anti-war movement unfold in the 1960’s. People look back to the ’60’s with a nostalgic longing for the passion and the fervor, but we have forgotten how divisive, strident and unsettling life was then too. Just like now, folks in the ’60’s didn’t know where would end up but they knew things needed to change; so too now. One year from the events in Ferguson, we are no closer to really engaging the issue of institutional racism in our criminal justice system and our society in general. A lot of important leaders from the President on down have said some significant things, but the patterns of violence, degradation and exclusion have not changed. Far too many Whites deny they have any role or responsibility for addressing the deep cancer of racism built into our culture and societal structures. Others think it either useless or hopeless. 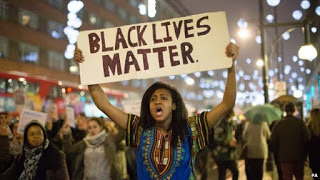 However, the Pew Research Center recently reported that there has been a significant spike in the last five years of Americans (43% to 59%) who think there is a significant problem with racism in this country. While among Whites that percentage is only 44%, it is much higher (17%) than only five years ago. Perhaps we Whites are slowly starting to wake up that America’s original sin cannot be ignored. Whether we get on board or not, the movement for change has begun. I close by inviting you to listen to another Langston Hughes poem, “The Kids Who Die,” recited by Danny Glover and set with images from past and present. Written in 1938 in the height of Jim Crow, this poem has a haunting relevance. May we hear and not turn away. May we walk in Mike Brown’s memory, people of all races, ethnicities and creeds with our “hands up” toward that dream that has been deferred far, far too long.